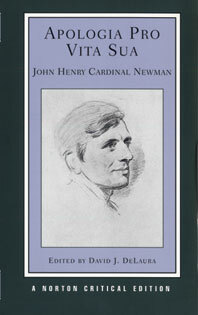 The text of the Apologia reprinted in this volume is the definitive text, embodying all of Newman's later changes, which reached its final form about 1886. Extensive notes are provided. 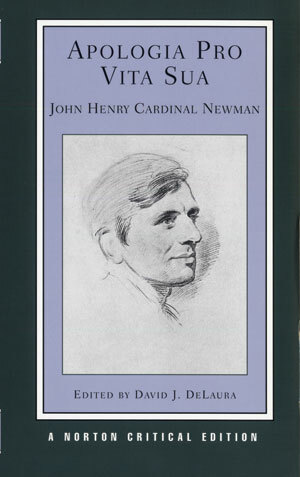 The present edition stresses the literary, humanistic, and religious power of the Apologia, Newman's personal development, and the progress of the Oxford Movement. Students will be able to place the Apologia in its proper intellectual context by examining it alongside other important documents from the Newman-Kingsley controversy included in this volume: correspondence: Kingsley's pamphlet, "What, Then, Does Dr. Newman Mean? "; Newman's pamphlets "Mr. Kingsley's Mode of Disputation" and "True Mode of Meeting Mr. Kingsley"; and Newman's two Appendices of 1866. The origin of the Apologia, its contemporary reception, and its present critical fortunes are discussed in studies by Martin J. Svaglic, Walter E. Houghton, Vincent Ferrer Blehl, Lewis E. Gates, Robert A. Colby, Leonard W. Deen, and David J. DeLaura. Mr. Kingsley and Dr. Newman: A Correspondence on the Question Whether Dr. Newman Teaches That Truth is No Virtue? Charles Kingsley: What, Then, Does Dr. Newman Mean?